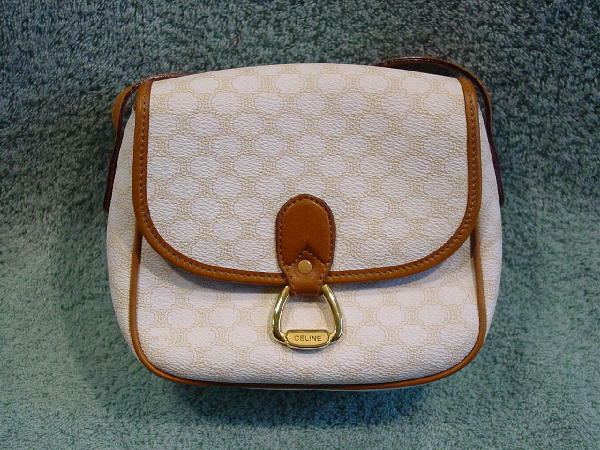 This white and caramel colored Celine purse has a gold-tone, made in Italy ornament that resembles a door knocker. It has a textured surface with freeform ovals. Celine is printed in some of the ovals. 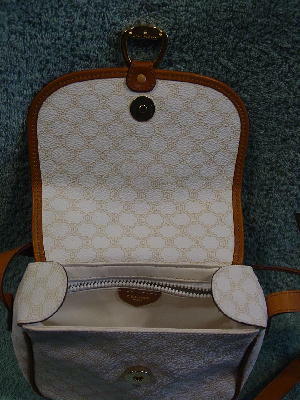 It has a front flap gold-tone magnetic closure that says Celine Paris. It has a white, really soft plastic lining and an interior fabric-lined zipper pocket with a leather interior patch that says Celine Paris. 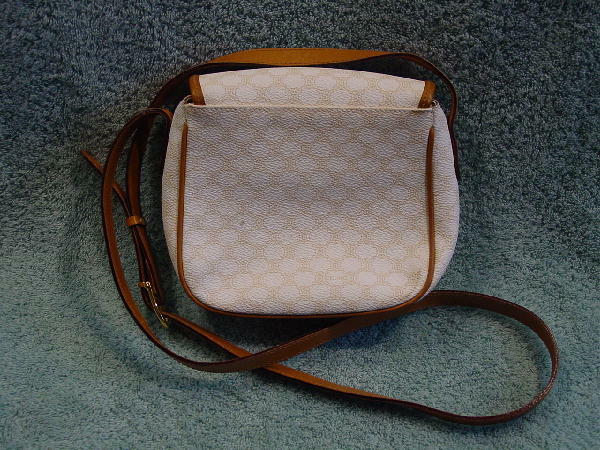 There s a 51" long caramel color shoulder strap. There is a dark spot on the back left side.